Opposition parties in Kerala have alleged that the state Communist Paty of India (Marxist) unit might have received "bribes" from owners of liquor bars for the construction of the proposed EK Nayanar Academy in the northern district of Kannur. 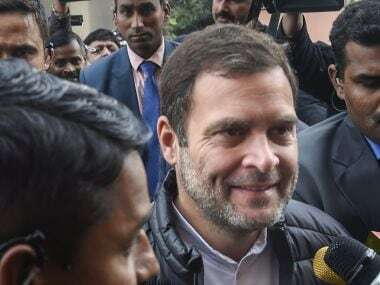 Both Congress and BJP have questioned the genuineness of the Rs 20.84 crore that CPM claimed to have generated through bucket collection on a single day, stating that the funds might be a payment from owners of liquor bars for reversing the phased-prohibition initiated by the previous Congress-led United Democratic Front (UDF) government. Leader of Opposition Ramesh Chennithala said that bulk of the fund might have come in the form of bribe that the party received through ministers for favours they may have given to various groups. 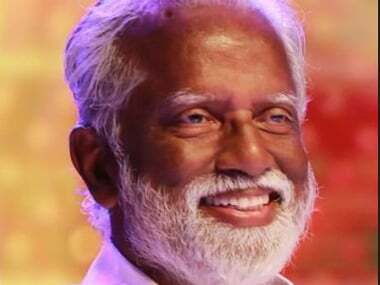 "It is not possible for any political party to collect such a huge amount through bucket collection on a single day in a tiny state like Kerala," the senior Congress leader said, adding, "The fund collected by the CPM may include bribes that the party received from owners of liquor bars for reversing the phased-prohibition initiated by the UDF government." The fund was collected by all units of the party across the state on 19 August on the call of the state secretariat, which will be undertaking the construction of the academy in 3.74 acres of land at Payyambalam, the final resting place of the Nayanar, former chief minister of Kerala, and other senior leaders of CPM. The party had collected Rs 6.25 crore through a similar bucket collection in 2005 to buy land for the proposed academy, which will house a historical museum — throwing light on the history and growth of the communist party and other revolutionary movements in the state — a reference library and a state-of-the-art convention centre. The Congress also alleged that an unholy deal between the CPM and bar owners in Kerala had taken shape even before the state Assembly elections in April 2016. The deal was to reopen the bars closed by the previous government if the Left Democratic Front (LDF) came to power, the party had alleged. Many in Congress believe that bar owners had pumped in money to defeat the UDF government in the 2016 Assembly election. Interestingly, the government headed by Chief Minister Pinarayi Vijayan has not only facilitated reopening of most of the closed bars despite a Supreme Court verdict banning liquor vends within 500 metres from state and national highways but also allowed new bars to come up across the state. While the government has circumvented the apex court's order to renew licenses of closed bars by de-notifying several state highways passing through urban areas, it paved the way for opening of new bars by reducing the minimum distance limit of bars from schools and places of worship from 200 meters to just 50 meters and curtailing the powers of local bodies. The Opposition leader termed the fund collection drive of the CPM as a tool to legitimise the ill-gotten money that the party received from bar owners. 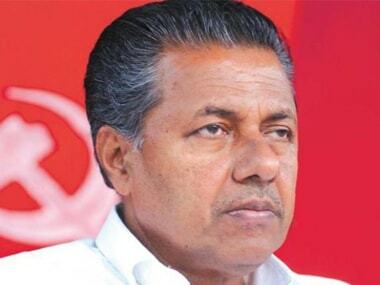 The Bharatiya Janata Party has also viewed the CPM fund collection drive with suspicion. "Political parties mostly collect funds from people by issuing receipts. Any amount of money collected by anybody without issuing a proper receipt can only be viewed with suspicion," BJP state general secretary MT Ramesh told Firstpost. Ramesh said that he was surprised that the party was able to collect such huge funds only when it came to power in the state. The BJP leader suspects a misuse of power behind the funds accumulated by CPM for the EK Nayanar Academy. CPM, however, has termed the allegations as "cheap". “The amount collected is the contribution of 4.5 lakh party members and other well-wishers. The people of Kerala supported the drive wholeheartedly,” said state secretary Kodiyeri Balakrishnan. He said that the collected amount was transferred to the trust through two bank accounts in Canara Bank and Indian Bank. He said that the party secretariat has decided to release complete details of the EK Nayanar Academy fund to clear doubts created in the minds of the people. 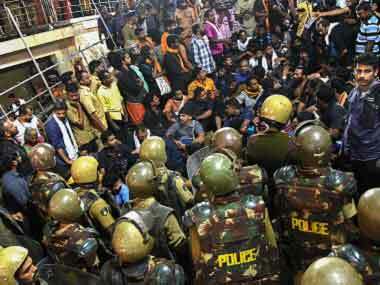 Controversy had surrounded the fund raising campaigns of the CPM in the past too. Similar questions were raised in 2008, when the party claimed that it had mobilized Rs 4.25 crore on a single day through bucket collection for establishing a school to educate party cadres on organisational matter in memory of party patriarch EMS Nampoothiripad. The centre known as EMS Academy was set up in 60 acres of land on the outskirts of Thiruvananthapuram. The party has also built memorials for martyrs and several other senior leaders like P Krishna Pillai, AK Gopalan, AP Varkey and Chadayan Govindan through similar bucket collections. All these are located in prime areas in cities and towns. T Raveendran, coordinator of Kerala state chapter of the Association for Democratic Rights (ADR), says that a bucket collection is not a right way for raising funds as it lacks transparency. 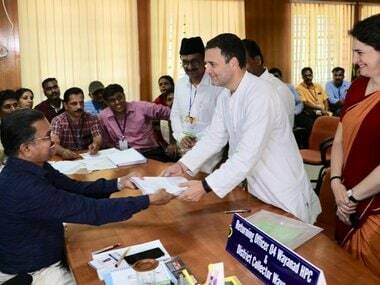 He told Firstpost that this method of fund collection was prevalent only in Kerala. "Everything in the bucket collection is camouflaged. There is absolutely no transparency in the method. We have no mechanism to check the genuineness of the funds since it is difficult to verify the claims of the fund raisers," he added. The party justifies the huge response to its fund collection campaigns saying that the workers, peasants and toiling masses were ready to donate from their meager income whenever the party calls for material support. Curiously, while BJP has criticised the legitimacy of CPM's bucket collection drive, the party itself had launched similar drive in May this year to bolster its financial base ahead of the 2019 Lok Sabha elections. In fact, the saffron party had given targets to its various committees even though the donation under bucket collection is normally voluntary. The BJP had asked its booth committees to collect a minimum of Rs 20,000, area committees Rs 2 lakh, constituency units Rs 10 lakh and district committee Rs 1 crore. The BJP has not released the details of collected fund so far. Taking a cue from these parties, several other organisations have also started raising funds in this way making bucket collection a unique method of fund collection in Kerala, where there are no major corporates.